Need a quick repair for your Acer TravelMate notebook computer model? Worried about the expense and turnaround time? Relax; here at Creative IT UK, we are pleased to offer our residential and business clients throughout London and the United Kingdom with the best quality Acer TravelMate laptop repair, maintenance and upgrade services at affordable rates. Our team of expert component level technicians are renowned for our specialised repairs, reliable services and trustworthy customer support. Our specialist London Acer TravelMate laptop repair technicians can troubleshoot and fix all types of issues with your TravelMate laptop model, including laptop keeps freezing and not responding, dropped laptop and since then it has not been booting, notebook hard drive failure, broken or cracked notebook casing, DC power jack damaged, laptop power problems, screen flickers, laptop overheating, dead pixels, laptop has started to display very faint images, scrambled or distorted video, laptop has colourful vertical and horizontal lines on the screen, LCD screen backlight lamp failure, broken keyboard or damaged by a liquid spillage, laptop screen blank when switched on, notebook that won’t turn on, broken or cracked LCD screen, laptop not booting to BIOS and will not boot from CD, slow performance, error messages on a blue screen, laptop locks up randomly, laptop crashes often, notebook suddenly shuts itself down, hard drive making strange noises, graphics processing unit (GPU) / video card issues, LCD screen inverter failure, laptop with water or liquid damage, laptop fan always on and really loud, broken cooling fan, laptop battery doesn’t hold charge as it used to, notebook battery and AC adapter issues, display hinges are broken, sticky or broken keys, standby and hibernate problems and notebooks infected with malware, virus or spyware. Whenever possible we try to repair a part before replacing it. 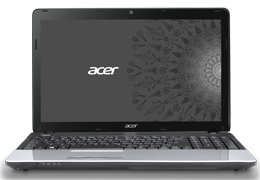 As part of our quick London Acer laptop repair services, we stock a good inventory of Acer TravelMate notebook parts for all models. Creative IT UK guarantees high-quality repair, replacement and upgrade services with quick turnaround time. If you have any problem with your Acer TravelMate laptop model, then call us on 020 7237 6805 or e-mail us at info@creativeit.tv to receive same day London Acer TravelMate laptop repair or upgrade services at remarkably affordable prices. We are open from 9.00 AM till 6.00 PM Monday – Saturday.